MENTOR’s plastic knobs are cost-effective and versatile. Produced from ABS or PBT, these knobs are robust and easy to install, with a choice of collet or set screw fixing. 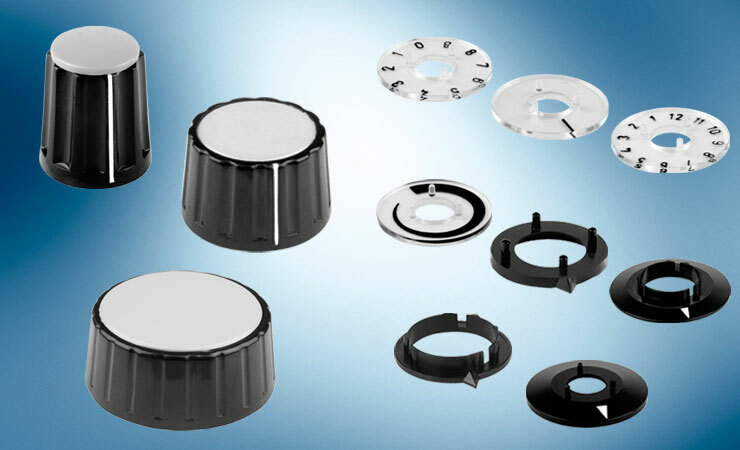 The plastic range includes wing knobs, pointer knobs and turning knobs with pointers plus modular plastic knob systems. Many products are available off the shelf with short delivery times and low MOQs. Utilising complementary parts, MENTOR’s plastic knob systems can be configured to suit a range of applications. The knob system allows knobs to be customised, for instance, with a different pointer dial or cap colour. Custom dimensions and shapes are available on standard components. Ask Multitron about creative LED lighting or any custom changes you would like to make to MENTOR’s plastic knobs. See also MENTOR's range of Digital, Analogue and Locking Knobs in plastic. The Matt Finish Knob System offers great flexibility with a huge selection of pointers, pointer dials, nut covers etc. 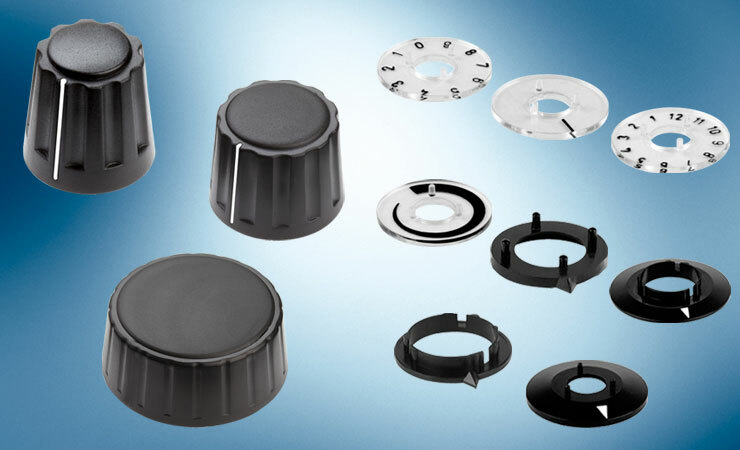 The Gloss Finish Knob System includes a huge selection of accessories including pointers, pointer dials, nut covers etc. 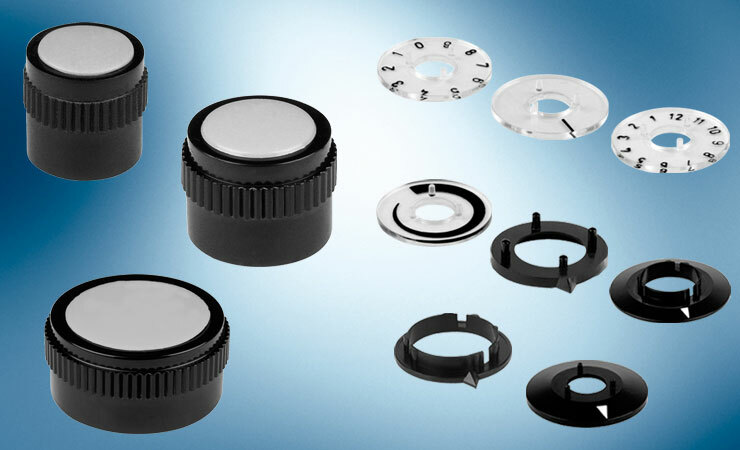 The Grip-Ring Knob System is complemented by accessories including pointers, pointer dials, nut covers etc. MENTOR’s plastic turning knobs with and without collars and a choice of six coloured caps. The range features pointers and collet or set screw fixings. MENTOR offer many plastic wing knobs, pointer knobs and adjusting knobs with a choice of coloured caps and collet and set screw fixings.